WESTMORELAND, N.H. – Polyonics recently announced that it has expanded its line of label materials designed specifically for laboratory, cryogenic, and medical device tracking. The materials include thermal transfer printable (TTP) nylon, polyester (PET), and polyimide, as well as UDI compliant, laser markable polyimide. They include aggressive acrylic pressure sensitive adhesives (PSA) suited for a wide variety of applications, including low surface energy (LSE) plastics, glass, and ceramics. Polyonics UDI compliant laser markable label (LML) materials are reported to be well-suited for tracking medical devices exposed to high temperatures, steam, or harsh chemicals, such as in multi-cycle sterilization and detergent wash processes. They are said to surpass the durability of thermal transfer printed labels, comply with the UL/IEC 60601-1 and 61010-1 standards, and have been field tested for 3,000+ sterilization and 500+ wash cycles. Polyonics Nylon label materials are designed for use on cryogenic applications involving glass tubes and slides, as well as polypropylene (PP) and polyethylene (PE) vials. The materials are rated -196 degrees Celsius, or (-320 degrees Fahrenheit) in liquid nitrogen. Polyonics manufactures high performance coated films that are said to withstand high temperatures and harsh environments while protecting products from ESD and fire. 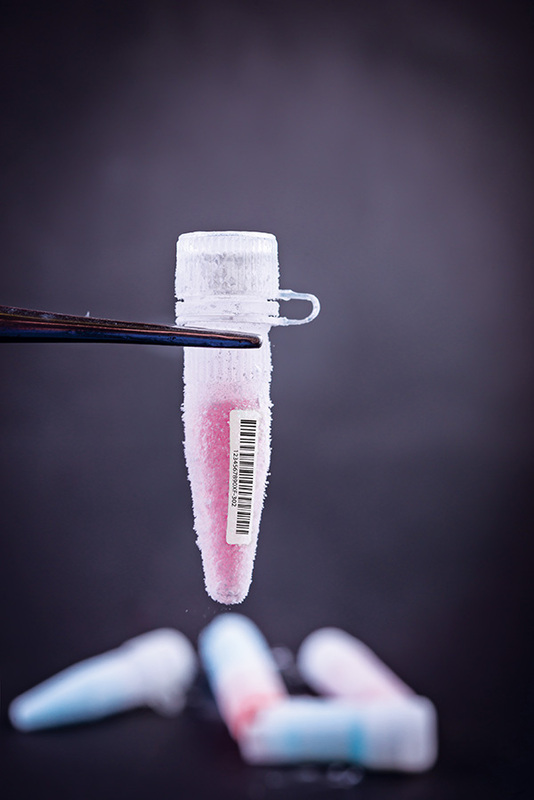 Polyonics nylon label materials are used for ID and tracking of laboratory and cryogenic tubes and vials. Photo courtesy of Polyonics.